We provide an integrative approach having created programs that are individualized to a patient’s specific health needs. Having created a unique team approach that guides, mentors and coaches the individual, our programs incorporate the missing pieces that are needed in reclaiming your life, youth and health. These include detoxification, nutritional support, hormonal balance, and proper exercise which are essential for optimal function of the nervous system. Our individualized programs address the root cause of a condition specifically by assessing the five foundational pillars of health and their relationship to the four major body systems. In order to achieve a state of optimum well being, an individual must understand that their inner self is comprised of Body, Mind and Spirit. 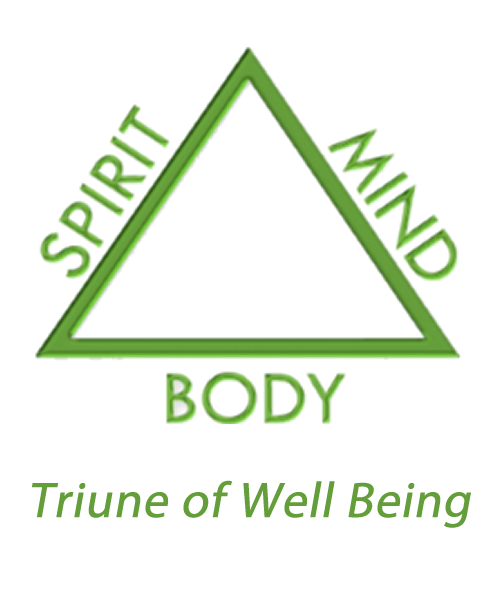 This is the “Triune of Well Being”. Picture a triangle that brings into balance body, mind and spirit. All sides of the triangle need to be aligned if you are to achieve optimal physical, mental-emotional, and spiritual growth and well being. If one angle is out of balance or distorted, then all angles distort, creating side effects such as physical pain, disease, depression, fear, stress, lack of faith, among others. That’s why there can be fifty individuals with the same exact symptoms and pains but the origin of the cause is different for each one. The treatment to be affective, must address the origin of the distortion. This system of assessment can immediately detect which angle of the Triune of Well Being is the primary angle in distortion causing the underlying health challenge that an individual may be experiencing whether acute or chronic. The study of this fundamental system is Dr Ken’s life work and cornerstone of the Davis Advanced System. The baseline of the triangle is representing our Physical Body. The Physical Body is comprised of bone, muscle, organ systems, and biochemistry. While this side of the triangle is what most individuals focus on, please note that this side of the triangle is rarely the root cause of the condition. The Mind Angle is representing our emotions, sentiments, thoughts, right thinking and reasoning abilities. This Force is responsible for the ability to be conscious and aware of our surroundings, as well as the ability to change the condition of the surroundings. Our mentor and teacher, Dr. M.L.Rees, taught that 90% of the “flame” that resides in each and every human being is part of a greater power. Whether one calls this power God, Absolute Beingness, Buddha, Nature, Chi, Life Force, Vital Force, or Spirit, we cannot deny its existence. Certainly we can recognize when it is not present, as in a “lifeless body”. When this “Spirit” or “Life Force” is fully expressing itself, there is wholeness and balance within the Triune of Well Being of Body, Mind and Spirit. These Advanced Chiropractic Services are provided in his chiropractic & holistic healing clinic located in Montclair, NJ. and in New York City.